Miles and Barr are pleased to bring to the market this good sized detached bungalow, in a central location. The property has two good sized bedrooms, bathroom with separate WC, lounge, fitted kitchen, and conservatory. There is a good sized garden to the rear, with out buildings that include a utility area, shed and WC. There is a detached garage to the rear, and large garden area to the front. Situated close to Westwood Cross Shopping Centre, and convenient for bus routes and a doctors' surgery, this a great location. The property is being sold with NO ONWARD CHAIN! Call 01843-570500 to book your viewing - open 7 days a week. Disclaimer - Property reference 28542703. The information displayed about this property comprises a property advertisement. Rightmove.co.uk makes no warranty as to the accuracy or completeness of the advertisement or any linked or associated information, and Rightmove has no control over the content. This property advertisement does not constitute property particulars. 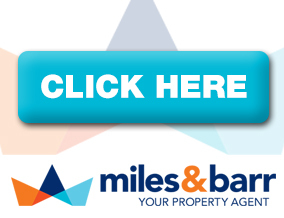 The information is provided and maintained by Miles & Barr, Ramsgate . Please contact the selling agent or developer directly to obtain any information which may be available under the terms of The Energy Performance of Buildings (Certificates and Inspections) (England and Wales) Regulations 2007 or the Home Report if in relation to a residential property in Scotland.